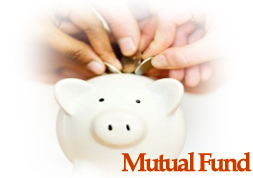 PRRSAAR Provides expert advice to its clients for their investments in equity & debt markets through Mutual Funds. Our experts advice you the best investment solutions that suit you and help you to reach your financial goals. We help you ascertain your risk profile & guide you with the right product mix which reduce your tax liability, increase your savings & enhance your wealth. Whether you have a conservative, medium or aggressive investment risk appetite, our experts would guide you to build a portfolio to optimize the return of interest.